Selling skills will help you close deals. A selling process will help you consistently do it. A lot has been said about the advantage of skills over process, but a sales professional will never succeed wielding only one. It’s easy to see why. While sweet-talking your way into people’s wallets might have worked in the past, the selling landscape has shifted so dramatically that skills such as personal charm and pitching prowess make up only a small section of today’s road map to sales success. Many factors drive this new normal. The relative ease of setting up businesses of any type opens up the arena for more intense and multifaceted competition. Having a brand that operates alone in a market niche is very rare. Just look at the smartphone industry Apple previously dominated or the rising number of Uber clones around the world and you’ll see how the rapid flow of information makes it nearly impossible to remain unopposed. In fact, at least one organization, Berlin-based Rocket Internet, operates on a “copycat” business model that takes successful ideas from other companies, rebranding these for new markets or locations. Unfortunately, competition is not your biggest challenge. Consumers have similarly evolved but on a more game-changing scale. The same rapid flow and easy access to information spawned a new breed of consumer. They are more informed, less attentive and more powerful when it comes to the selling/buying dynamic. These consumers enjoy a wider range of purchase options that includes, but doesn’t necessarily set a preference for, your brand. In many cases — and largely through social media — they have become active influencers in how products and services evolve. So you have fiercer competition and smarter consumers in a playing field where the rules change constantly as technology advances. At first glance, that might seem like a forbidding terrain for the faint of heart. Fortunately, technology enables as much as it disrupts. For sales professionals, technologies such as CRMs, cloud computing, real-time collaboration, data visualizations and business analytics help drive higher performance and better customer engagement. Technology also empowers sales leaders to design the ideal sales process that not only complements and enhances the selling skills of their teams but also helps their people develop habits that ultimately lead to consistent success. The question is: Have you tapped these technologies to create the ideal sales process for your business? As the term suggests, a sales process consists of the series of steps (or stages) that your sales team performs to sell your company’s products or services. But it’s more than just a process you and your customers regularly go through. As defined in the National Association of Sales Professionals (NASP) website, a sales process is a “systematic approach” that enables your team to close more deals, improve margins and grow your business. Not all sales processes lead to success, though. A bloated one with random elements will likely just lead to a mediocre performance by your team. Define your sales process from the point of view of your target consumers. Define sales stages clearly, outlining the key steps needed to make a sale. Use smart tools such as CRMs that provide high visibility of key elements of the process, and offer critical intelligence on which sales activities to perform at any given time. Prospecting — This involves both inbound and outbound activities designed to bring in new leads into your pipeline based on your target customer profile(s). Lead Qualification — In this stage, you create a shortlist of prospects who either offer more potential value for your business or who are more likely to make a purchase. Proposal/Presentation — This is where you present your value proposition to shortlisted prospects, highlighting the ways your product or service can solve their pain points. Resistance Management — This stage counts on your team’s product knowledge and customer empathy to address complaints, doubts, hesitation and related issues. Purchase Decision — This is the point where prospects give their final assessment of your product, either moving forward to the next stage as a closed deal or being removed from the pipeline as a lost opportunity. Customer Satisfaction/Repeat Business — Closed deals should never be the end of your sales process. Your sales team should leverage opportunities for further nurturing shared values with customers. Stay in touch and keep customers delighted about your brand even long after they have made a purchase. Referrals, (up)cross-selling, loyalty rewards and repeat business are good activities to initiate at this phase. 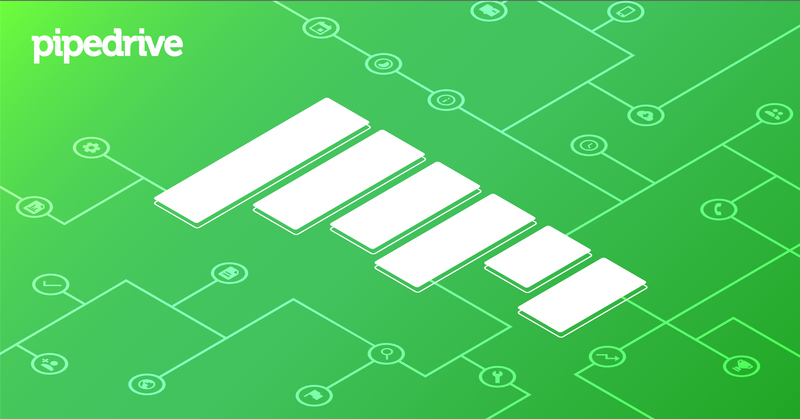 Match your team’s sales stages with your customers’ buying process and main decision points. Get your team’s feedback about the stages. Verify whether the stages match your typical sales scenarios. Ensure everyone on the team understands the stages. Agree on and set activity metrics for each stage. Revisit and update your pipeline after a month (or two) based on current metrics and your new targets for growth. Meanwhile, business intelligence provider InsightSquared shared a presentation that outlined tips on how best to manage your pipeline. These include conducting separate meetings for pipeline and forecasts; keeping track of key metrics such as average deal size and win rate; and understanding your pipeline’s historical trends. InsightSquared stated in its presentation that pipeline management serves as a “primary factor in sales success.” This is because systematizing your approach in engaging customers and clinching deals enables your team to see things on the same page, manage different expectations, set activity benchmarks and accurately measure outcomes. These capabilities, in turn, make it easier to optimize sales operations. Another great thing about a formal sales process is that it doesn’t and was never meant to impede selling skills. On the contrary, a good CRM also serves as a reliable platform for skills training. In the changing world of sales, the skills and process won’t work as an either-or argument.